Nemo File Manager in Ubuntu Linux - Nemo is a free and open-source software and official file manager of the Cinnamon desktop environment. It is a fork of GNOME file manager. It allows to browse directories, preview files and launch applications associated with them. it is also responsible for handling the icons on the cinnamon desktop. It works on local and remote file systems. Basically, to install Nemo, you’ll needs Cinnamon even if you want to use it in some other desktop environment. Thankfully, there's a PPA repository to install Nemo easily. Andrew from webupd8 is the developer behind this project. He used the Nautilus Unity patches modified for Nemo by Jacob Zimmermann, which updated to work with the latest Nemo, and also added some extra patches to remove the Cinnamon dependencies (except for cinnamon-translations but that shouldn't be an issue), re-enable Nemo to handle the desktop icons and allow Nemo to use GNOME Control Center / Unity Control Center to change the desktop background or set a picture as wallpaper via context menu. 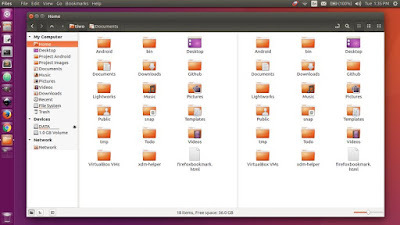 Nautilus is the default file manager for Ubuntu Linux. But it lack many features if we compared to Nemo, like split screen feature. Option to choose on which monitor to show the desktop folder (icons). This can be changed via Dconf Editor (org > nemo > desktop > desktop-layout), and can be set to show desktop icons on primary monitor, on remaining monitors, or on all monitors (default is primary only). 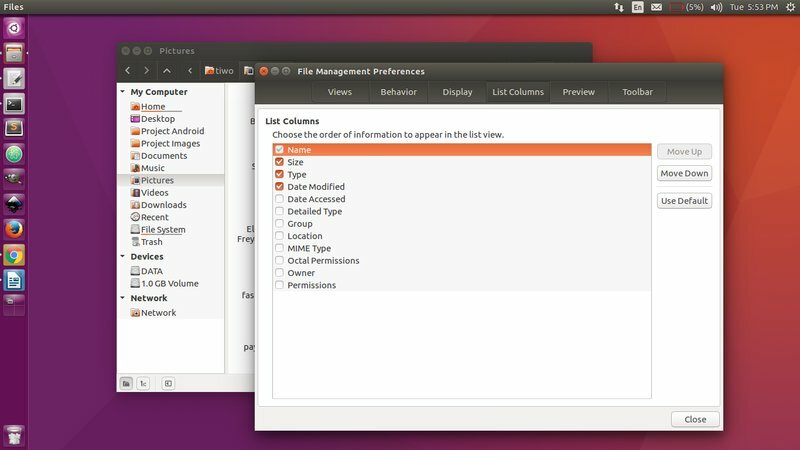 The things you must take care is don't use this PPA for Linux Mint or Cinnamon desktop in Ubuntu, and if you have added any Cinnamon PPAs, you'll need to purge them firstly. Now logout and re-login to see the changes! That's it to install Nemo in Ubuntu and how to set it to the default file manager in Ubuntu Linux. Thanks for reading!